We are a Christian, volunteer driven, nonprofit thrift store that serves God and loves people by providing quality, low cost, goods in an environment that conveys respect to our customers, donors and volunteers in order to run programs and make grants that transform our community. Community Threads is a one of a kind thrift store. We strive daily to provide the highest quality clothing, furniture, housewares, books, games, and just about anything else you could think of.at the lowest possible price. You can find great quality brands in our store but you won’t pay more for them. But what really sets us apart is that we are truly nonprofit using our profits to help our neighbors. Your purchase, donations and service at Community Threads help fund real change in your community. It supports our affiliates (and more) who provide help to the homeless, scholarships for kids and training for future leaders and safety for inner-city youth through a family-plex. In addition, Community Threads supplies goods to many in need. From clothing given to refugees to blankets given to animal rescue shelters, Community Threads answers the call. Click here for information on our other programs. We started off in a modest store in Buffalo Grove and have grown into our new location in Arlington Heights. 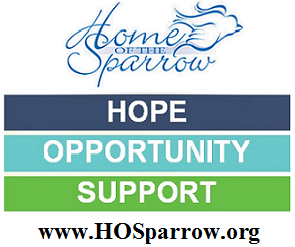 Over our first five years in business we have not only gotten larger but have also been able to give away over $1,000,000.00 dollars to worthy causes. Help us as we look to give away much more in the future!